Smedley's Memorial Hydropathic Hospital was built by Mrs Smedley as a memorial to her husband, who died in 1874. 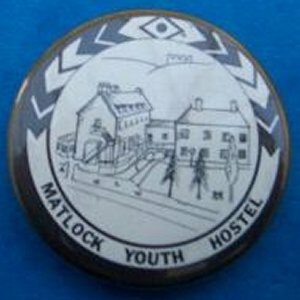 The Hospital was opened in 1882, and became Matlock's Youth Hostel around 1970. 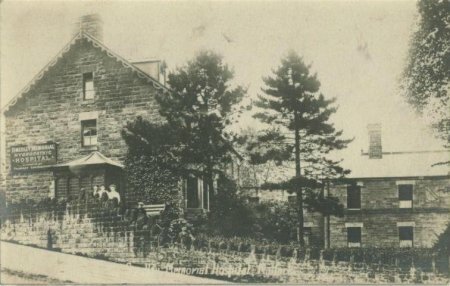 The building is at 40, Bank Road, the really steep straight road climbing up from the central square in Matlock. 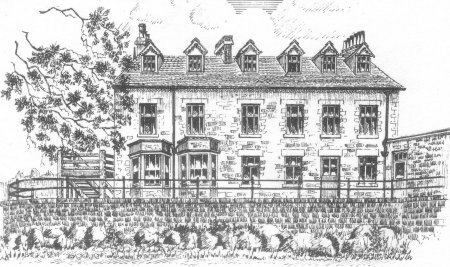 From: "History, Topography and Directory of Derbyshire", by T. Bulmer and Co, 1895, p.418, under the heading for Matlock:- "Smedley's Memorial Hydropathic Hospital was established a few years ago  to continue the philanthropic work which Mr SMEDLEY carried on at his own expense, at Lea Mills, for upwards of a quarter of a century. 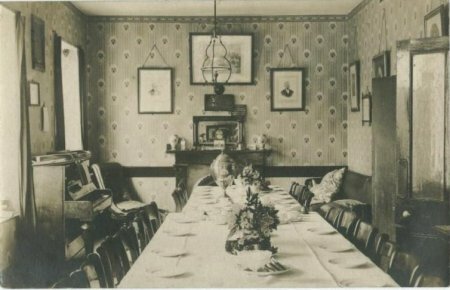 The present hospital, located in rented premises formerly known as the South View Hydro, on Matlock Bank, is supported by voluntary contributions, and is under a committee of management." The building became a Youth Hostel about 1970. The Webmaster has had many happy bednights here, as the Matlock Records Office is close-by. Unfortunately the Hostel closed in 2007. 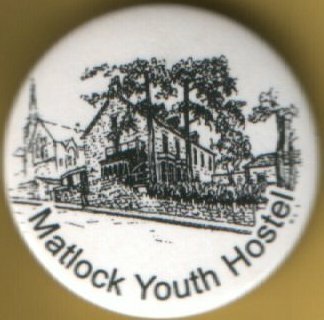 Tin badges sold by Youth Hostel Association.